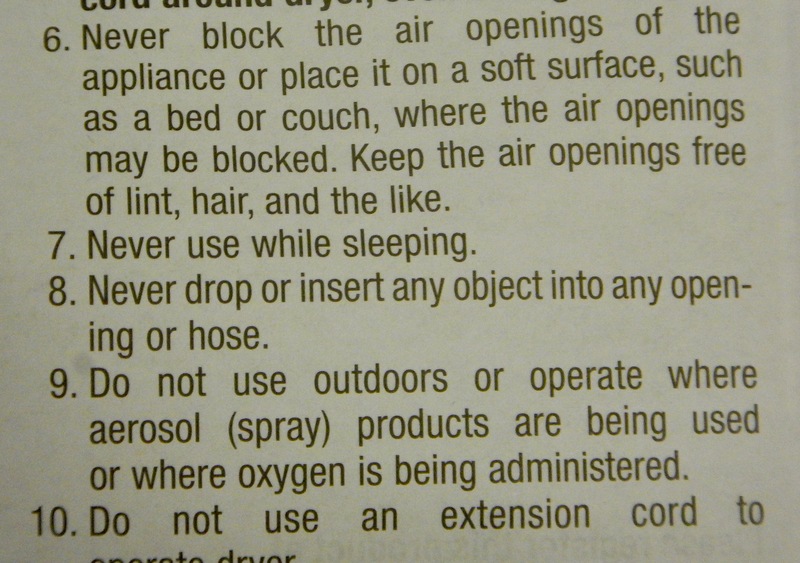 I bought a new hair dryer and of course it comes with many warnings. 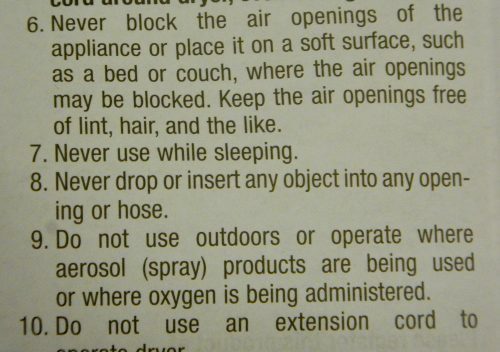 My favorite is #7. Really, I’d like to see someone do that. Just to see how they managed.